The State Department spent $52,701 last year buying customized and mechanized curtains for the picture windows in Nikki R. Haley’s official residence as ambassador to the United Nations, just as the department was undergoing deep budget cuts and had frozen hiring. The residence, in a new building on First Avenue, has spectacular views, and Ms. Haley is the first ambassador to live in it. For decades, her predecessors lived in the Waldorf Astoria hotel. But after the hotel was purchased by a Chinese insurance company with a murky ownership structure, the State Department decided in 2016 to find a new home for its top New York diplomat because of security concerns. The government leased the apartment, just blocks from the delegation’s offices, with an option to buy, according to Patrick Kennedy, the top management official at the State Department during the Obama administration. The full-floor penthouse, with handsome hardwood floors covering large open spaces stretching nearly 6,000 square feet, was listed at $58,000 a month. one down, many more at other institutions should go as well. 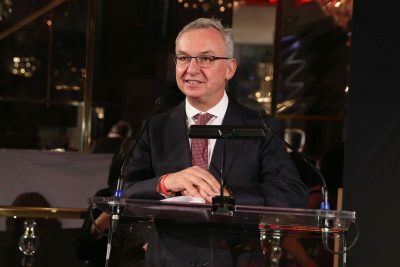 Dr. José Baselga, the chief medical officer of Memorial Sloan Kettering Cancer Center, resigned on Thursday amid reports that he had failed to disclose millions of dollars in payments from health care companies in dozens of research articles. The hospital’s chief executive, Dr. Craig B. Thompson, confirmed the resignation. The revelations about Baselga’s disclosure lapses, reported by The New York Times and ProPublica last weekend, have rocked Memorial Sloan Kettering, one of the nation’s leading cancer centers, in recent days. Its top executives scrambled to contain the fallout, including urgent meetings of physician leaders and the executive committee of its board of directors. A senior official at Memorial Sloan Kettering Cancer Center has received millions of dollars in payments from companies that are involved in medical research. His omissions expose how weakly conflict-of-interest rules are enforced by journals. Baselga could not be immediately reached for comment. On Sunday, Thompson and Kathryn Martin, the hospital’s chief operating officer, sent a message to the staff instructing employees to “do a better job” of disclosing their relationships with the drug and health care industries. “The matter of disclosure is serious,” the executives wrote. Baselga, a prominent figure in the world of cancer research, omitted his financial ties to companies like the Swiss drugmaker Roche and several small biotech start-ups in prestigious medical publications like The New England Journal of Medicine and the Lancet. He also failed to disclose any company affiliations in articles he published in the journal Cancer Discovery, for which he serves as one of two editors in chief. All told, ProPublica and The Times, found that Baselga had failed to report any industry ties in 60 percent of the nearly 180 papers he had published since 2013. That figure increased each year — he did not disclose any relationships in 87 percent of the journal articles he co-authored last year. In an interview and later statement, Baselga said he planned to correct his conflict-of-interest disclosures in 17 journal articles, including in The New England Journal and the Lancet. But he also contended that in dozens of other cases, no disclosure was required because the topics of the articles had little financial implication. He also said his failed disclosures were unintentional and should not reflect on the value of the research he conducted. Those journals, as well as professional societies like the American Society of Clinical Oncology and the American Association for Cancer Research, said they were conducting reviews of Baselga’s disclosure practices after inquiries from The Times and ProPublica. Baselga was president of the AACR in 2015 and 2016 and appears to have violated disclosure rules for reporting conflicts of interest during that period. A spokeswoman for The New England Journal, Jennifer Zeis, said in an email Thursday that Baselga had submitted changes to his disclosures but that editors had questions for him before the articles could be corrected. A spokeswoman for the AACR said that organization was continuing to review Baselga’s disclosures. Baselga, 59, is an expert in breast cancer research and played a key role in the development of Herceptin, which was developed by Genentech, a subsidiary of Roche. He came to Memorial Sloan Kettering in 2013 after serving as chief of hematology and oncology at Massachusetts General Hospital in Boston. Before that he was a leader at the Vall d’Hebron Institute of Oncology in Barcelona, Spain. Don’t miss out on our next investigation. Sign up now and get it straight to your inbox whenever we break news. Medical journals and professional societies have imposed stricter rules about reporting relationships to industry after a series of scandals a decade ago in which prominent physicians failed to disclose payments from drug companies. But medical journals have said they don’t routinely fact-check authors’ disclosures, and much is left to the honor system. Ethicists say that outside relationships with companies can shape the way studies are designed and medications are prescribed to patients, allowing bias to influence medical practice. Reporting those ties allows the public, other scientists and doctors to evaluate the research and weigh potential conflicts. Baselga has extensive ties to a range of companies, including sitting on the board of the large pharmaceutical company Bristol-Myers Squibb and serving as a director of Varian Medical Systems, which sells radiation equipment and for whom Memorial Sloan Kettering is a client. Baselga has served on the boards of at least four other companies since 2013, and the positions required him to assume a fiduciary responsibility to protect the interests of those companies, even as he oversaw the cancer center’s medical operations. Baselga and Memorial Sloan Kettering have said the cancer center has put firewalls in place to prevent any conflicts. Baselga received nearly $3.5 million in payments from drug, medical equipment and diagnostic companies from August 2013 through 2017, according to Open Payments, a federal database that tracks payments to physicians from health care companies. Most of that amount, about $3 million, involved a payment from Genentech for Baselga’s ownership interest in a company it acquired, Seragon Pharmaceuticals, in 2014. But the $3.5 million in the Open Payments database does not include payments from companies that don’t have products approved by the Food and Drug Administration. Such companies are not required to report their payments under federal law. For instance, Infinity Pharmaceuticals, a start-up with no approved drug, paid Baselga nearly $250,000 in cash and stock options for serving on its board from 2015 to 2017. He declined to disclose how much he received from such companies. Baselga was one of the highest-paid staff members at Memorial Sloan Kettering, earning more than $1.5 million in 2016, the most recent year for which the nonprofit’s financial filings are available. Julie Weinberg-Connors, who is in the process of making ‘aliya,’ or immigrating to Israel as a Jew under the Law of Return, was told that they were being deported because of the army’s objections over their visits to the West Bank. They were eventually let in. Jewish-American Julie Weinberg-Connors was denied entry to Israel Wednesday night and told that “the [IDF] does not want you in Israel,” where Weinberg-Connors holds residency and is in the process of immigrating under Israel’s Law of Return. Border Control agents eventually reversed course and allowed Weinberg-Connors, 23, into the country after media outlets, including +972 Magazine, and several members of Knesset asked the Interior Ministry and Israeli army about the denial. Weinberg-Connors was meant to start yeshiva studies at the Pardes Institute on Thursday. Bechor, who was on the phone with Weinberg-Connors during parts of the detention and interrogation, said she heard a border control agent tell her client, “the Civil Administration does not want you in Israel.” The Civil Administration is the Israeli military body that administers the occupation of the Palestinian territories. The army, however, does not have the authority to determine who may enter Israel. The denial of entry form given to Weinberg-Connors said they were being deported back to the United States for illegal immigration considerations. Weinberg-Connors was asked about visiting Khan al-Ahmar, a Palestinian village under imminent threat of forced displacement and demolition. Ultimately, they were allowed to enter after signing a document agreeing not to visit the West Bank. Weinberg-Connors is in Israel on an A1 visa, a temporary residency status granted to people who the state has decided are eligible for citizenship under the Law of Return, or in other words — Jews. Israel’s “Law of Return” grants almost automatic citizenship to anyone with one or more Jewish grandparent, irrespective of whether they can trace heritage or have family ties to Israel. Palestinian refugees who were born, or whose parents or grandparents were born in Israel, are prohibited from immigrating to Israel. Prior to the “Jewish Nation-State Law,” which passed earlier this year, the Law of Return was one of a small number laws on the books that explicitly grants certain rights only to Jews. Most other discriminatory laws do so without specifying a specific religious or ethnic group that is granted certain rights or privileges that are denied to others. Denial of entry has become more common for foreigners — including Jews — visiting Israel in recent months, particularly those critical of Israeli policy vis-a-vis the Palestinians. Palestinians, Arabs, and non-Jews have been systematically denied entry to Israel over their politics and identity alike for years. “This is the first case, to the best of my knowledge, of a person who was seeking to make aliyah who has been denied entry while they are actually in the process of having their aliyah application processed,” said Bechor. Weinberg-Connors moved to Israel last September and flew back to the United States in June for the summer, according to Bechor. Weinberg-Connors was interested in becoming an Israeli citizen and has a pending aliya application. It was in the context of the aliya application that Weinberg-Connors was first asked about their political affiliations and activism and past visits to the West Bank. Israeli citizens are not allowed to enter Palestinian-controlled cities in the occupied territories without military approval, but this restriction does not apply to non-citizens like Weinberg-Connors. “It showed that there’s zero protections under the law so long as your political beliefs don’t match the consensus, you don’t have a place in Israel even if the law says that you do,” said Bechor. Weinberg-Connors tried to present border control agents all of the aliya paperworkbut the border agents were not interested in seeing it, or in the fact that they had an A1 visa, said Bechor. “She had a valid visa that they revoked. It is not just that she is an American who is coming on a visit, and they denied her entry – they revoked the visa that she has, temporary residency, without giving her any due process,” she added. The case concerns an American citizen who arrived to Ben-Gurion Airport in the evening, and after questioning her, it became clear that she was planning to stay in areas administered by the Palestinian Authority without the necessary approval from the Coordinator of Government Activities in the Territories (COGAT). Upon checking with relevant security personnel, a conclusive recommendation was given not to approve her entry, but, after she committed to apply for the required permit in case she does plan on visiting the territories, her entry was approved. A spokesperson for the COGAT, of the Israeli army, had not issued a formal response at the time of publication. It will be added here if and when it is received. Thousands of people in Essen have taken to the streets to protest against neo-Nazi violence. 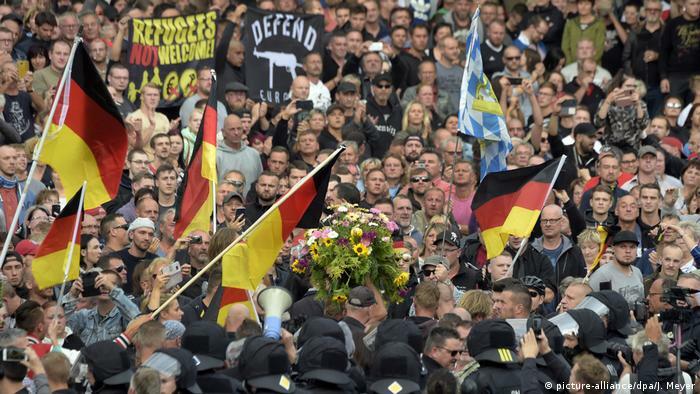 The march is the latest in a series of anti-racism rallies following violent anti-immigrant protests in Chemnitz. “The coming few days will be critical in determining the trajectory of the outbreak,” the WHO says. White supremacy and fascist flirtations are not ideas that need to be ‘exposed’. We just need to fight them. White supremacy and fascist flirtations are not ideas that need to be ‘exposed’. We just need to fight them. White supremacy and fascist flirtations are not ideas that need to be ‘exposed’. We just need to fight them. I grew up in the long shadow of a military coup. To be a child in a country where relatives and friends suddenly disappeared, were detained indefinitely without trial, or in some instances executed, was to grow up very quickly. But the most difficult thing to process was seeing those who had lost family to the government’s brutality scramble to make peace with its members, or even join it, once it became clear the military regime was staying. It’s still a depressing thing to return to Sudan and see men who I remember as a child returning from prison gaunt and hollowed out with starvation and torture, sit among the government’s ranks, fatted, safe, and soft with power. But it taught me an important lesson: the fate some politicians fear most is not defeat, it is irrelevance. And as the Donald Trump administration functions largely like an African dictatorship, it has been a lesson that has been helpful in shedding light on the complicity of formerly moral Republicans, and in turn, the normalisation of Trump and his associates by liberals. Donald Trump may have dismissed Bob Woodward’s Fear as “a joke”, but readers are showing themselves to be keen to share in the comedy, with more than 750,000 copies of the White House exposé sold in American in just one day, according to its publisher. Fear, which “depicts a White House awash in dysfunction, where the Lord of the Flies is the closest thing to an owner’s manual”, according to a review in the Guardian, was published on 11 September. Simon & Schuster said yesterday that it sold a combined total of more than 750,000 copies of the book on its first day on sale in the US. The publisher has now ordered a ninth printing, bringing the total number of hardbacks in print in America to more than 1.15m. Can’t take heat? Get out of the kitchen! Goofus #!